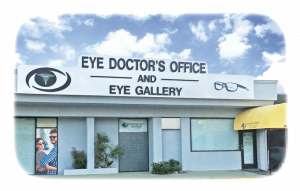 My name is Ashley, I had my first visit at Eye Doctors and Eye Gallery and I must say, I will be returning. They were very professional, friendly, and has great hospitality. Doctor Robert Consor was very nice and detailed with the diagnosis! I highly recommend Eye Doctor office and Eye Gallery Inc.